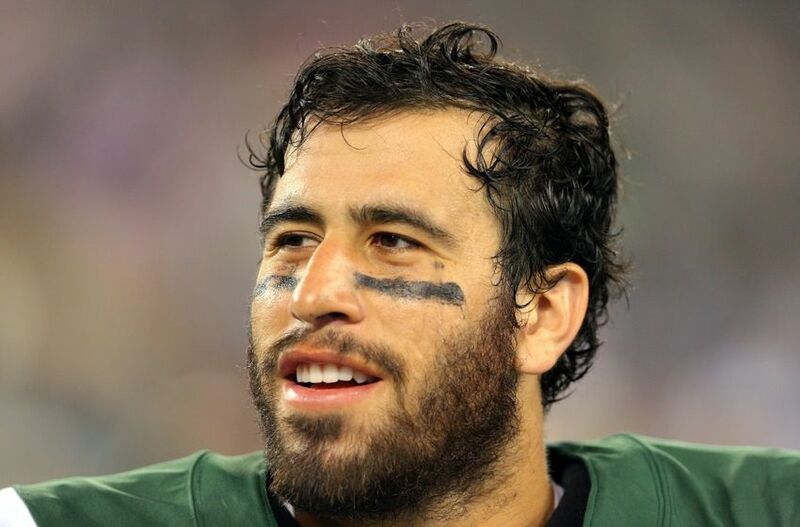 Manish Mehta is a columnist for the NY Jets, and this is his tweet regarding TE Jace Amaro after his injury. For those of you who don't recall - Jace Amaro was one of the few coveted tight ends that the Patriots were targeting in last year's draft. He comes from Texas Tech and would have been a nice, speedy compliment to Rob Gronkowski - similar to Aaron Hernandez. Unfortunately, the Jets got him first. It would appear, however, that the New England Patriots are not missing much. Jace was set to have a much bigger role in this year's offense for the Jets and maybe even develop into a reliable fantasy option for players of the game. He is now considered "week-to-week" with a shoulder sprain, and even when he returns it will take some time to get back to 100%. So, in the span of less than a week the NY Jets lose their starting QB to a locker room fight over $600.00, and maybe the only promising player on their offense to injury. As a person, I really hate to kick a man while he's down, but as a New England Patriots fan - any bad news for the Jets is good news for me. Keep flying stupid banners over our practice field, the karma is fantastic! If you enjoy my thoughts on all things Patriots, follow me on twitter @Dexmatthews - I'd love to know what you all want to read about!